Ten years have passed yet the hole in my heart lefy by my Tatay's death is still there. I know this hole will never be filled again. Every time I think of him, I can't help but regret how just little time we had. It would have been different if he's still here. My mother's condition would have been better. I have so many what if's, but all of these I entrust to God. For I know He had a reason and His plan is way better than ours. Early today, while I was trimming my Nanay's hair, a white butterfly flew over us. I know it's him reminding me he's with us. Reminding me to more patient and understanding. And to love my mother more. Today would have been his 76th birthday. If ever he can read this, I want him to know that my love for him will be always there. And that I will never leave Nanay until it's time for them to meet again. This message is for my beloved Tatay. May the angels send this message to him. Looking for gift this Christmas? Here's a Perfect Memorials Holiday Gift Guide you can use, especially for those with departed loved ones. Ornaments serve as very thoughtful gifts for someone who is looking for a unique way to memorialize a lost family member or friend during the holiday season. Perfect Memorials has many different styles to choose from and even offer them in packs of 5 or 10, which makes it very easy for you to share an extra special memory with a group of friends or family that will last for years to come. Give a gift that will be enjoyed year round with a Perfect Memorials Photo Engraved Pendant. These pendants are engraved with the photo and name of a loved one and can be worn around the neck or displayed alongside other mementos and keepsakes. Personalized Memorial Cards are very thoughtful stocking stuffers you can give to your loved ones during the holiday season. Perfect Memorials memorial cards come in five vibrant color options and serve as a very nice and tasteful way to carry or display a photo and special memory of your lost loved one. 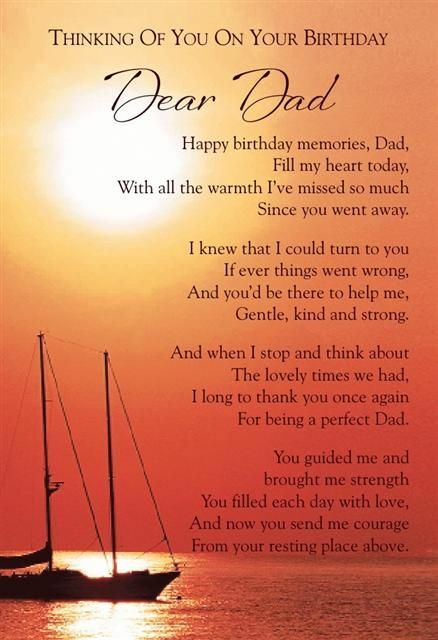 Visit PerfectMemorials.com and enter the keyword Memorial Card to view all of your Personalized Memorial Card options. Perfect Memorials Premium Jewelry Collection is guaranteed to steal the hearts of your loved ones and the spotlight at your next holiday party. The Premium Jewelry Collection combines our most iconic cremation jewelry pendants with free engraving and a complimentary custom engraved jewelry gift box. With 12 options to choose from, you are sure to find a special gift for everyone on your holiday list. Whether displayed in a memorial garden, city park, or inside your home, engraved stones make a perfect way to celebrate your loved one. Personalization including names, dates of their legacy, other text sentiments, and artwork are available to symbolize and pay tribute to the life of a loved one or family pet. Engraved stones are offered in many shapes and sizes and they are sure to spread cheer throughout your family during the entire holiday season. With the Holidays fast approaching, Perfect Memorials, the leading online retailer of premium quality memorial products has created a special Holiday Memorials category with more products, many of which are on sale. Clickhere to view these specially priced items. Disclosure: This post was provided by eAccountable and contains affiliate links that may yield commissions earned at no cost to you. Three years ago, my son had a burn accident. It happened during his bath time when he accidentally picked up the water thermos containing hot water. Unfortunately, the spout of the thermos was left open that caused the water to came out and burnt almost half of his face and chest. He suffered second degree burn. It was my worst day ever that is haunting me until now. Hot water scald is just one of the possible accidents that may happen during bath time and inside the bathroom. Accidents do happen anytime and prevention must be our top priority. Below are some bathroom safety tips, especially for children. Never leave your child alone in the bathroom. Do not allow your child to take a bath without adult supervision. Always check the water temperature before placing your child in the bathtub or shower. If you don’t have a water heater inside the bathroom and is using hot water from thermos or kettle, make sure it is out of reach of your child. Hot water scald is the most common and severe type of childhood burn just like what happened to my son. Avoid using baby bath seats because it will not help prevent drowning. To prevent slipping, make sure to dry the floor and your child's feet after a bath. You can put slip-resistant mats inside and outside of the bathtub or shower. Also, teach your child not to run in the bathroom because of the risk of slipping on a wet floor. If you have a bathtub at home, always empty the tub after baths and make sure it is really empty before you leave the bathroom. 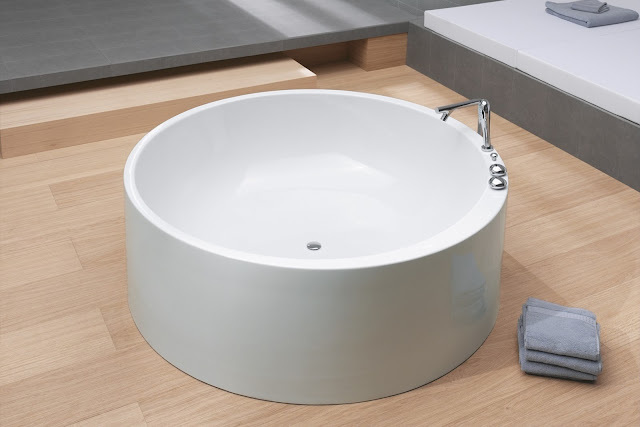 Bathtubs like freestanding tubsCanada, must have handholds or grab bars to prevent falling and drowning. Put a non-slid decals or rubber mat inside the tub to prevent slipping. Always close the door, when the bathroom is not being used. Toddlers are always curious. So when the bathroom is not being used, always close the door. In case your toddler likes checking the toilet bowl, you can use a lid lock to prevent him from opening it. Empty all the buckets inside the bathroom after using them. To prevent other injuries, keep other items in your bathroom that may hurt your child out of their reach. Free the bathroom of sharp points and edges by using cushioned or rounded edges on all bath or shower fixtures. When your child is in the bathroom, keep all electronic items unplugged. Take away all cleaning products out of the bathroom and store these in a locked cabinet. Those are safety tips in the bathroom. It's very important that these are properly communicated to everyone at home, especially when you are not around. We can not say when accident will happen so it's better to be safe than sorry. Last Saturday, these came in. Actually, tatlo yan. Yun isa, I gave to our Lab Aide's daugther na picky eater daw. I hope that Nutri10 Plus Syrup will help his daughter eat well like Matthew. Look how happy he was. I have wrote about it here, that Matthew really became more magana when he started taking in Nutri10 Plus Syrup. Just look at this photo. When people saw him, they will immediately ask me what is his vitamins. He's roughly 26 kilos now as compared to his weight last year of around 17-18 kilos. I am not just after him gaining weight. I see to it that he eats a balance diet. I make sure also that he have the 3 important meals of the day, especially breakfast. I will not let him go to school without eating his breakfast, kahit maaga pa ang pasok nya. Even if he is heavier now, he's still active as before. 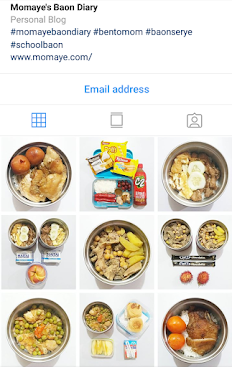 Since he started taking in Nutri10 Plus Syrup, which is half a teaspoon a day, he rarely get sick or if ever he got cough and colds, it will go away the soonest. 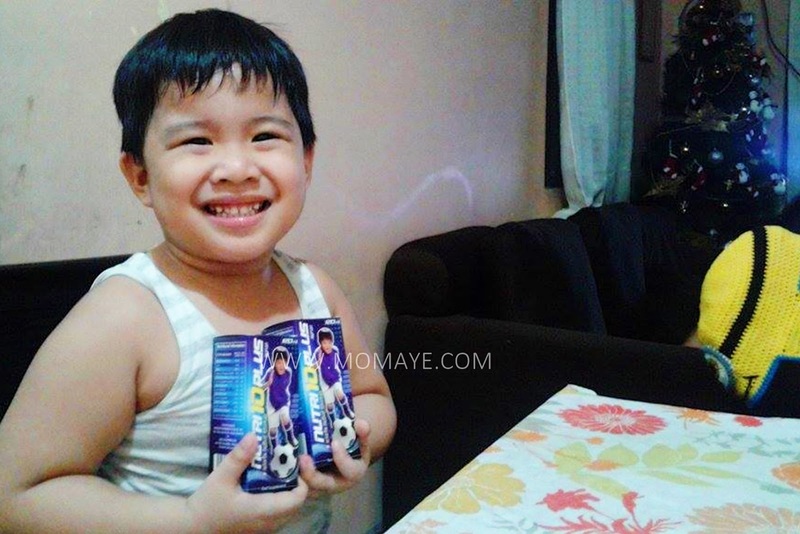 That's why I am so happy when I learned Wert Philippines is sending over bottles of Nutri10 Plus again. Just in time because the last of the 3 bottles they sent last May is paubos na. Nutri10 Plus Syrup has Chlorella Growth Factor (CGF) that can speeds up, based on researches, growth in children especially in height. It also contains Lysine that is known as appetite stimulant important in weight gain. It also has Taurine that can make our kids smart. And vitamins and Zinc promoting over-all immunity, thus our kids will rarely get sick. Now, I don't need to worry because Nutri10 Plus Syrup is my partner in keeping my son aktibo't malakas. 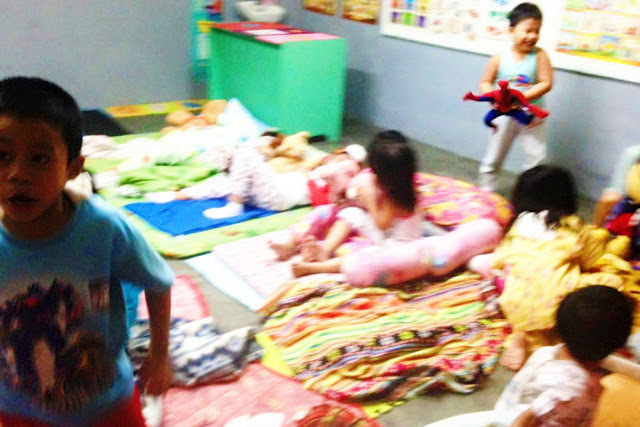 Try nyo na sa mga kids nyo mommies. A 120-ml bottle of Nutri10 Plus Syrup is just Php 160.00. 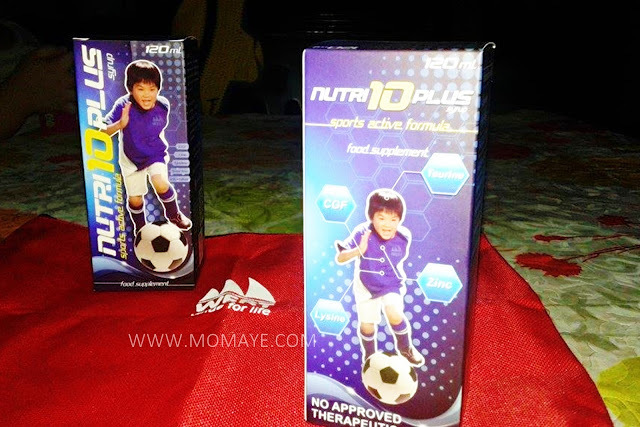 Nutri10 Plus is also available in drops form. More more details, visit Nutri10 Plus Facebook page. 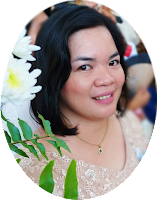 Early this month, I have read about the consolidated bill “Expanded Maternity Leave Law of 2015”. It states that the "State shall institutionalize a mechanism to expand the maternity leave period of working women to provide them with ample transition time to regain health and overall wellness as well as to assume maternal roles before resuming full-time work." Four Senate committees have already approved the bill and will be deliberated by the senators for approval for second and third reading. When this bill is approved, the paid maternity leave period for both government and private sector workers will be increased from 60 days to 100 days regardless if the delivery was normal or caesarian. There’s also an additional maternity leave of 30 days, without pay, that can be availed of at the option of the employee. This is provided that she give her employer a notice, in writing, at least 45 days before her ordinary maternity leave ends. Although 100 days is still not enough, I am happy that law makers is already initializing such bill in favor of mothers like me. I know how it's hard to leave your baby just 2 months after giving birth. There are some companies that are generous enough to let their workers like mothers to have an extended maternity leave. However, there are also companies that cannot afford to let their employees have extended leave, maybe due to operational problem that this may incur. Sometimes this resulted to constructive dismissal. Constructive dismissal is like a dismissal in disguise. It’s an employer’s act resulting to dismissal but made to appear as if it were not. In most cases, the employee is allowed to continue to work but will be re-assigned, demoted, or have his/her pay reduced. With the current economic situation we are in our country, one cannot afford to lose a job. Many can relate too, that having a one-source income for a family is very hard. That’s why mothers are also obliged to work to assure that they can give the needs of the whole family. So having an Expanded Maternity Leave Law will be a great help not only on mothers but for the whole family as well. With this law also, I hope we can prevent ridiculous lawsuits resulting from work dismissals, terminations and the likes. I also hope that companies will be considerate enough for mothers like me. Have you experienced maternity leave related problems? 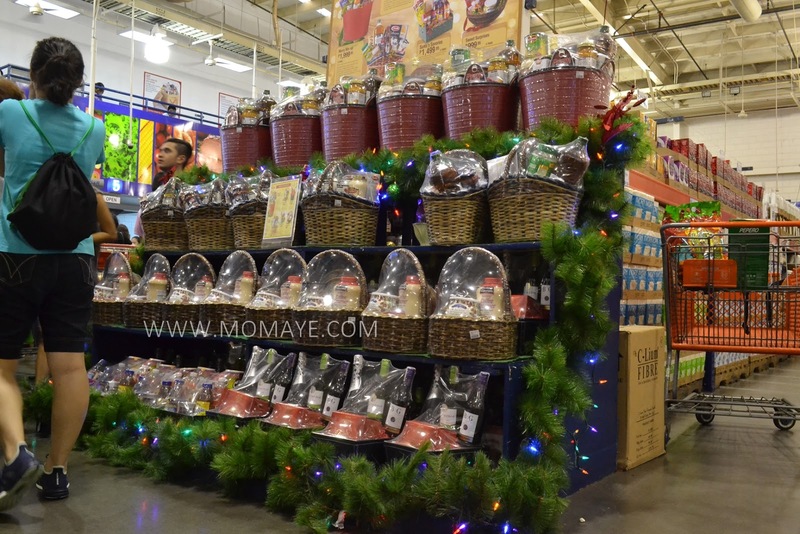 Last Thursday, we went to S&R Congressional to renew our membership and check out what we can buy as gifts and giveaways this Christmas. 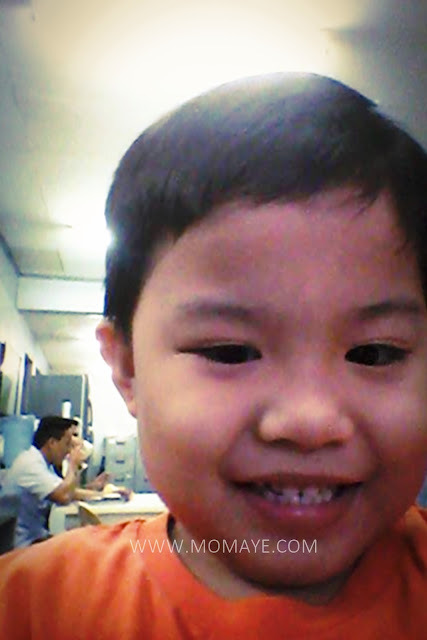 I was with Daddy A and this little cute boy. Christmas is already in the air inside the S&R. 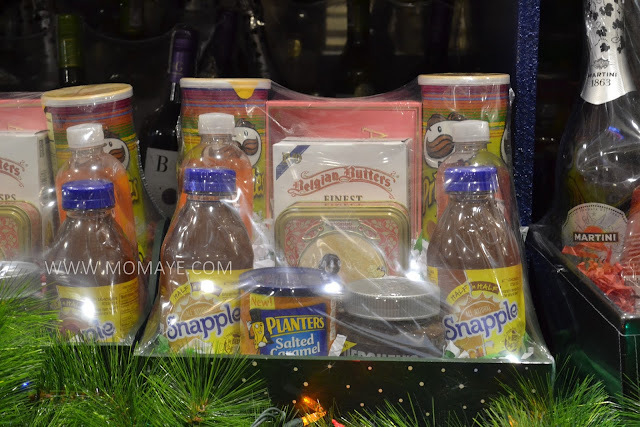 I immediately saw these nicely packed Holiday Baskets that you can be a great giveaway for our loved ones. Let's take a closer look at each basket. 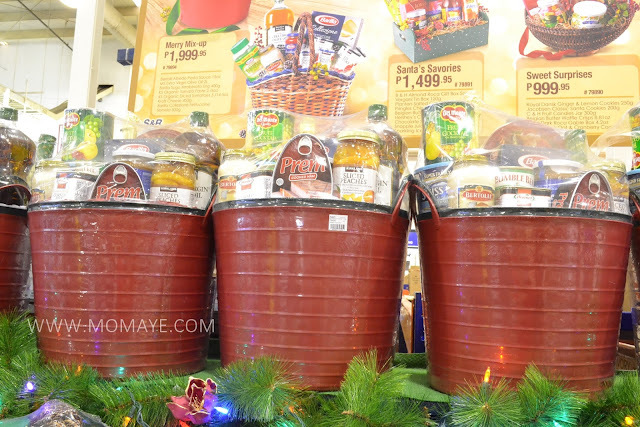 This S&R Holiday Bounty at P3,499.95 only, which includes KS Sliced Peackes Lite Syrup 24oz, Hormel Corned Beef 12oz, Prem Cooked Ham 454g, Barilla Penne Rigate Pasta 500g, MS Extra Virgin Olive Oil 2L, Mardel Dulce De Leche, Swiss Miss Mini Marshmallow w/ Can 39oz, Bertolli Alfredo Pasta Sauce 15oz, Del Monte Fruit Cocktail 825g, Keror Sparkling Red/White Grape 25.4oz, Bumble Bee Pink Salmon 14.86oz, Jacobsen Classic Santa Cookies 200g, Sweet Baby Ray's Barbecue Sauce 40oz, and Vidalia Onion Vinaigrette Dressing 24oz. Next this basket is called New Year Tidings at P1,995.95 only. This contains Daily Chef Columbian Instant Coffee 12oz, MS Non Dairy Creamer 35.3oz, Jacobsen New Year Dreams 340g and Royal Dansk White Choco & Raspberry 250g. This basket naman is called Merry Mix-up at P1,999.95. This contains Bertolli Alfredo Pasta Sauce 15oz, MS Extra Virgin Olive Oil 2L, Barilla Sugo Arrabbiata Eng 400g, KS Organic Tomato Paste 2/16oz, KS Organic Diced Tomatoes 3/14.5oz, Kraft Cheese 453g, and Barilla Collezione Fettuccine Semola 500g. 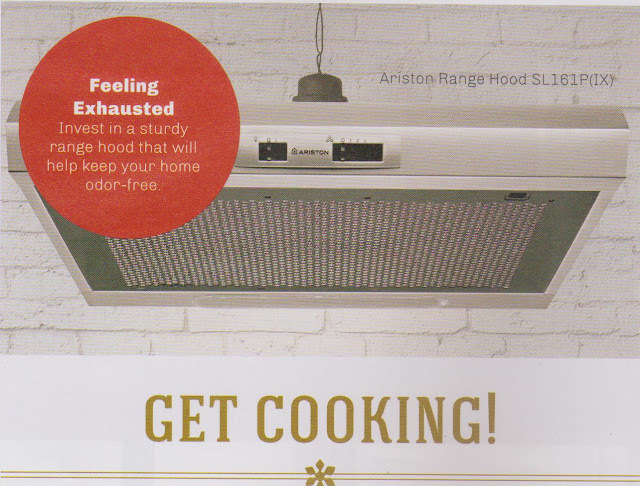 This is Santa's Savories at P1,499.95 only. The basket contains B&H Almond Roca Gift Box 5oz, Vergani Tin Box 120g, Planters Salted Caramel 6oz, Pringles Chips Chiley Lemon/Bbq, Belgian Butter Waffle Crisps 8.81oz, Hershey's Chocolate Almond/Chocolate Spread 13oz, and Snapple Juice Drink 4/20oz/Sparkling Ice Zero Calories 4/17oz. Then this Yuletide Cheers at P1,999.95 inludes B&G Dublin Aromatic Rouge 750ml, Martini Asti Spumante 750ml, Vino Fontana White 750ml, and French Natural Truffle 1kg. The Sweet Surprises at P999.95 is not on the display but it's also part of the Holiday Baskets. For sweet lovers this is a perfect gift becuase it contains Royal Dansk Ginger & Lemon Cookies 250g, Jacobsen Classic Santa Cookies 200g, C&H Fruit Candies Jar 300g, Begian Butter Waffle Crisps 8.81oz, B&H Dark Roca Gable Box 4.2oz and Royal Dansk Oat & Cranberry Cookies 125g. 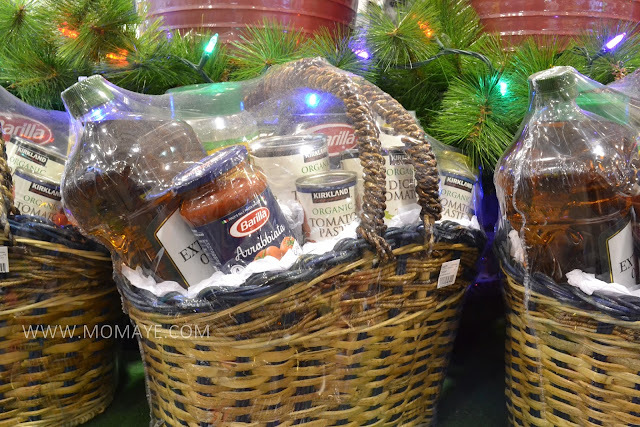 For sure, anyone will receive these baskets will be so merry, hehe. After that, we checked the big and small appliances on sale. 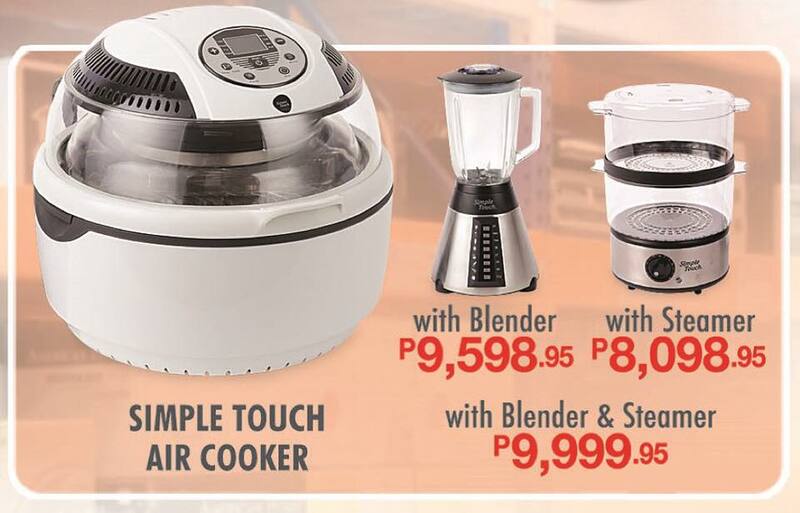 I super like this Simple Touch Air Cooker. I have read about air frying as a healthy way to fry. 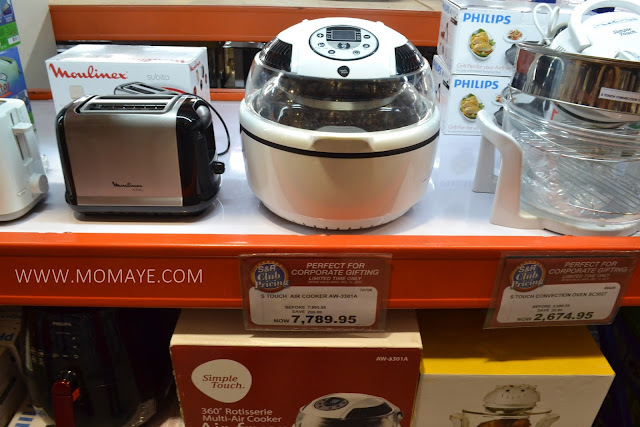 With this air cooker, you can cook a crispy pata in minutes. Great right? You can get this Simple Touch Air Cooker with Blender at P9,598.95, or with Steamer at P8,098.95, or with both Blender and Steamer at P9,999.95. 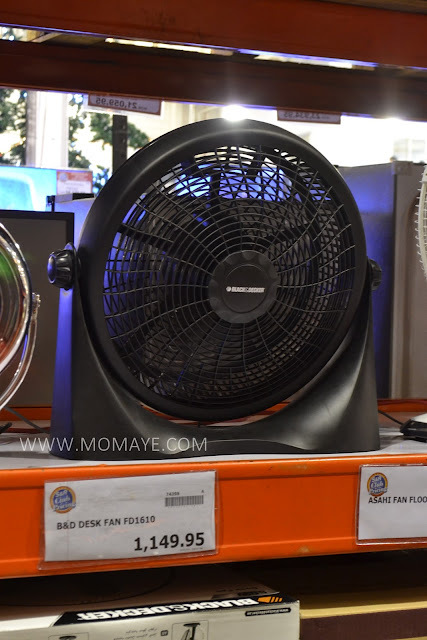 Saw also this Black & Decker Box Fan. 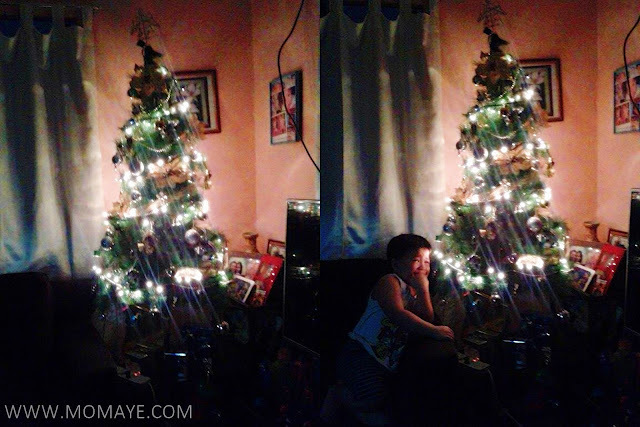 Sabi ng pag-asa, mainit daw ang pasko so we need a handy electric fan like this. By the way, you can get this Black & Decker Box Fan with free Black & Deck Water Filter Jug with Digital Counter at P2,794.95. Heto naman gusto ko na i-uwe. 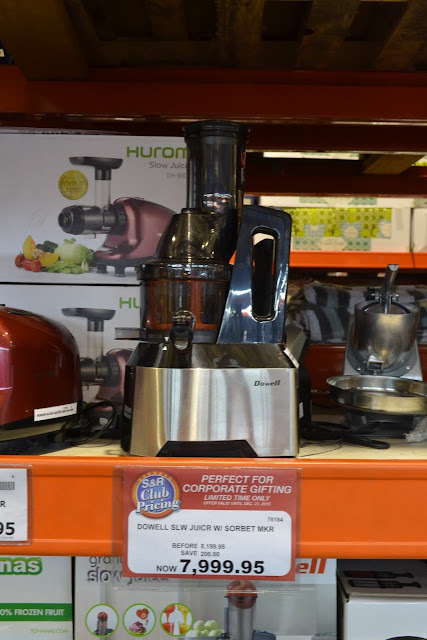 Dowell Slow Juicer at P7,999.95 only. 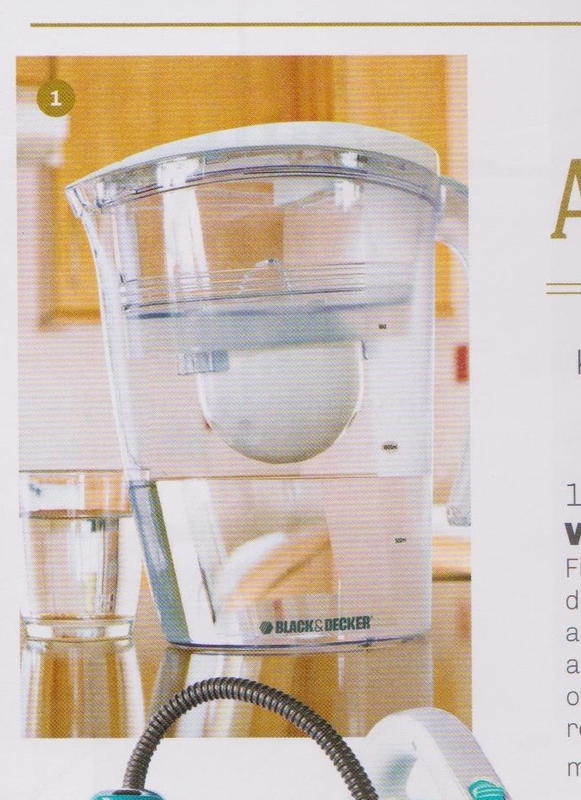 I will save for that juicer, promise! Roaming around, the little boy got bored so dito muna kami tumambay. 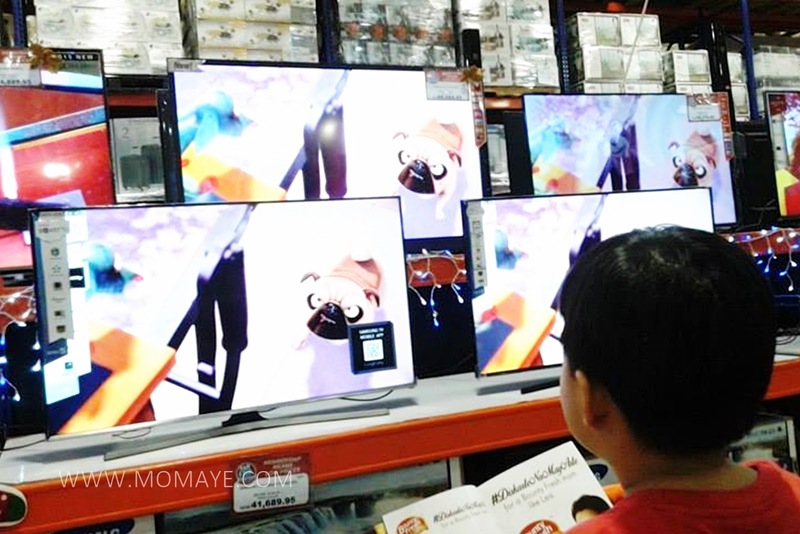 LED TVs are on sale too! Matthew can't take away his eyes on the movie trailer being shown. Ang super linaw kasi e.
Other appliances on sale are Ariston Range Hood at P5,994.95. 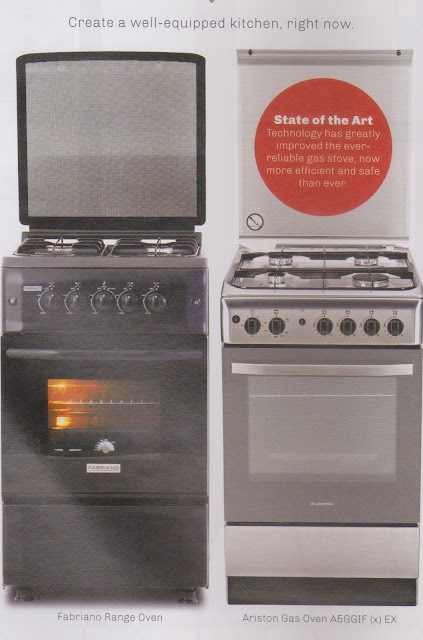 I always wanted to have a gas range like these Ariston Gas Range at P26,994.95, and Fabriano Gas Range at P10,994.95. 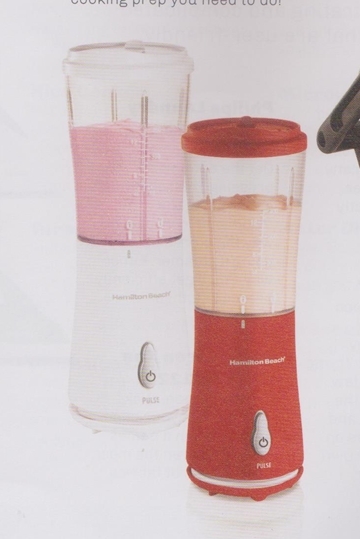 I like this Hamilton Beach Blender at 1,499.95 only. Pwede na muna ito habang pinag-iipunan ko un juicer, hehe. Ang nice din nitong Philips Non Stick Iron at P1,249.95 only. I wish I have more time to roam around. 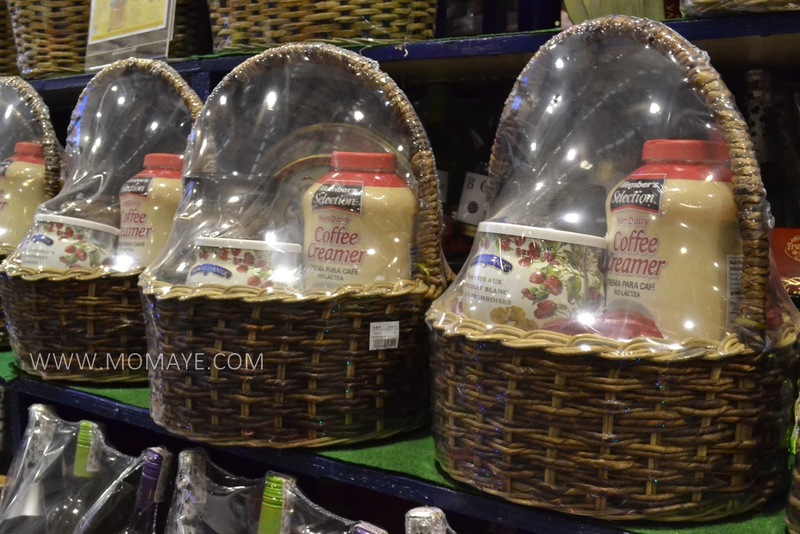 At S&R, you can find great holiday gifting ideas at club-priced value so we can save a lot. That's why I #loveSnR! Okay, this is another late post. 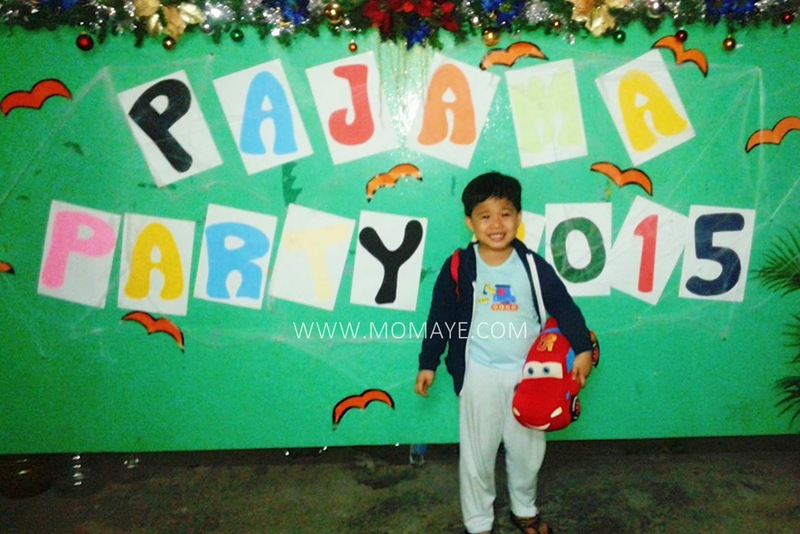 Two weeks ago, Matthew had his first Pajama Party at school. That was Friday and students were asked to go to school at 6 PM. 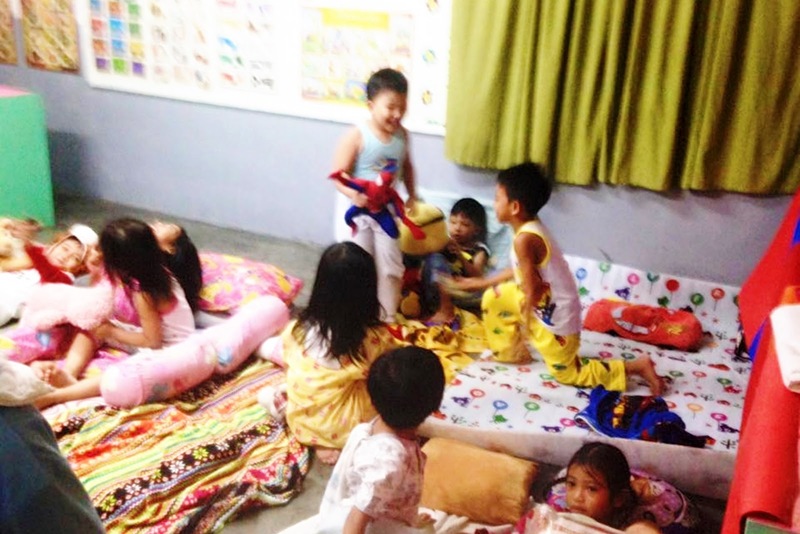 Pre-elem to Grade 3 stayed until 10PM only, while the higher grades stayed overnight. Matthew was super excited. I promised that we will go home early so we can accompany him to school and of course took photos of him. However, we were called for a meeting at our main office and the meeting ended late. Tapos na-traffic kami sa NLEX dahil sa isang van na tumagilid at umuusok pa. Ang daming araw bakit noon pa. If only Daddy A can make the car fly, I will ask him to do so we can go home na and fulfill our promise to our son. 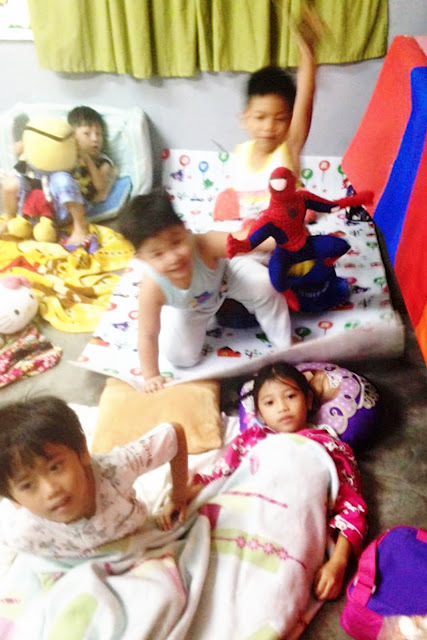 We arrived home passed 8 already and they were all inside their classroom watching a movie daw. May mommy na lumapit sa akin and ask me if we already got a a photo of Matthew. She's so kind to show me these photos that I grabbed from her FB. Photo credits to Mommy. Thank you po. 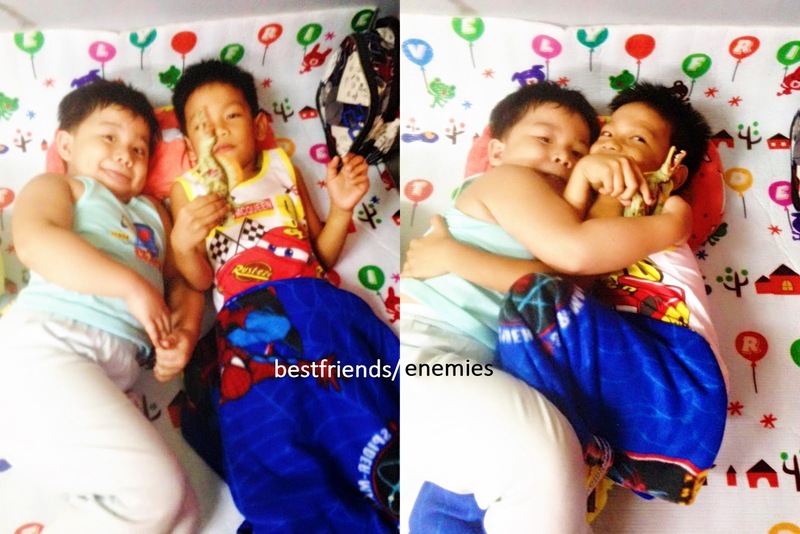 Here's Matthew with his bestfriend/enemy. Ang cute lang! When I looked at the other uploaded photos, here are the photos I saw. Evidence that our Matthew is such an energetic kid. Haha! Then there's an award pala for best in pajama. These two cute kids won, and look at Matthew at the back. He was sad pala that he didn't won. Dapat daw meron sya pajama na may butones, hehe. 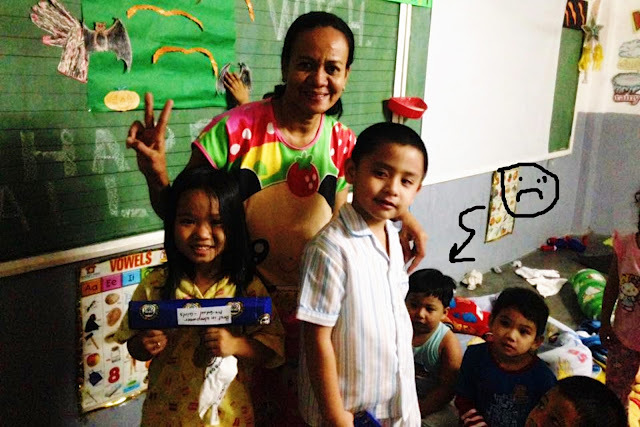 Then I have learned from the school Director that when his teacher announced the winners, Matthew said daw "ay ang daya!." I told him, next year babawi kami and also remind him to be a good sports. I also told him to be happy for his classmates because they are all friends. 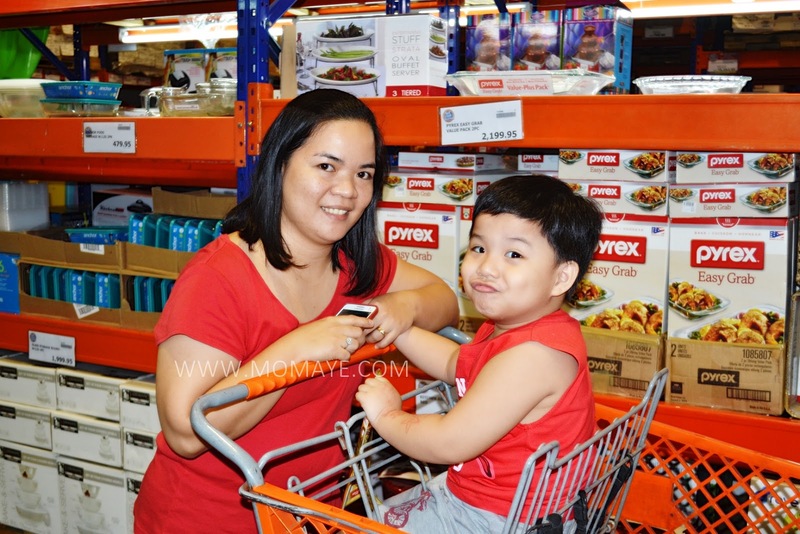 Matthew: Mommy, bat po di ko kayo nakita noong kumakain na kami? Mommy: Kasi anak na-late kami ng dating e. Andun ba mga mommies ng classmates nyo? Mommy: Sorry anak, kung pwede lang lumipad car ni Daddy. Traffic pa. This was one of the most heartbreaking conversations we had. Ang sakit pag galing mismo sa anak mo yun tanong kung bakit wala ako. Mas nakaka-guilty pa when he said "Okay lang po. Kaya ko naman..." Ouch anak! I am lucky that our son is an independent boy. He still went the party even without us and when he saw us after the party, he didn't showed he was upset with us. At 5, he can understand that I need to work and can not be with him in all the time he needs me. Mommy guilt strikes again. Sorry guys if this supposedly happy post ended dramatically. I just can't help but feel guilty and sad whenever I remember that night. All I can do now is to pray for our son's safety whenever we are not around. And to guide me with all the decisions I need to do in the future. I believe God has a better plan and this is how things should be for now. The internet is a very helpful and widely used communication/information tool nowadays. Even kids have access to internet. They chat to connect with friends and use social media to express themselves. With this, they are exposed to cyberbullying. Cyberbullying is on the rise and it can happen any time of the day. What is Cyberbullying? Cyberbullying is a specific form of bullying that is committed via online. Here’s what creates cyberbullying. Everyone who is using the internet is actually vulnerable to cyberbullying, and can be a victim. It can be us or our kids. My son at 5 already knows how to use smartphone and tablet. I let him use a tablet one in a while, like every Saturday night. 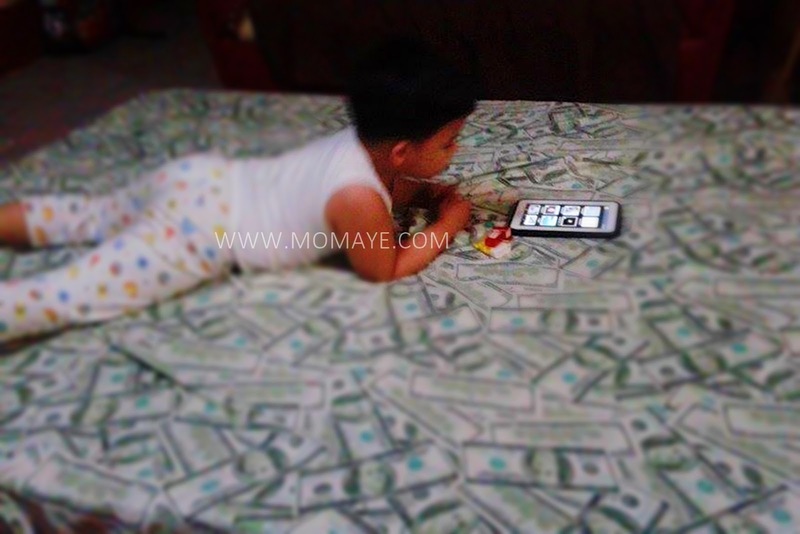 I always make sure that whenever he uses the tablet, I am there or his dad to supervise him. Or if I cannot watch over him, I will disconnect the tablet to the internet. Just to assure he will not open any application that would expose him to online predators. But I know this is just the beginning because soon my son will be more expose to the use of internet. I cannot prevent him from using the net for it will be a useful tool for his studies. But I know I can protect him from cyberbullying and online predators. Here are ways to protect our kids from cyberbullying. Have an open communication with our kids. Open communication with our kids is very important. Let them feel we are always there to listen and we won’t judge them. It’s also important to earn their trust so they will feel free to open up what and how they feel, and what they are going through. We should educate them about the risk of using internet and what Cyberbullying is. Set aside a few minutes to talk about cyberbullying and how it’s happening. By explaining them what constitutes Cyberbullying, we should also instill with them not to be a cyberbully too. Always take time to listen to our kids, especially when they are casually mentioning incidence of cyberbullying, or any alarming internet activities. Pay attention with our kids’ behavior or activities. Any changes may signal their distress. That may include withdrawal from family and friends, or behavioral change like always being angry or moody. If you have teens, these things can be normal but they might be crying for help also. That’s why it’s important that we pay attention to these signals for these may be signs that something not good is going on. Aside from paying attention with your kids’ behavior and activities, get involved with them as well. Sometimes communication is not enough because there might be instances that they will not tell us. We should do also our own research like who are their friends and what social activities they are doing. We should find out what are the social media they are using, and follow them. For sure they will object that but we can set that as a condition for them to use the internet. When we already know what social media they are using, we must insists to let give their passwords. Thus we can make occasional spot-check on their inbox and chats. Also, restrict internet gadget usage to after dinner use and to use it when we are around. Not behind closed doors that is. But if we want the best way to monitor our kids’ online activities, we can install Innovative Web Content Filtering Software like Familoop Safeguard. Familoop Safeguard is a smart parental control software that we can use to protect and manage our kids’ online life. This is a helpful tool to timely detect online threats like communicating with strangers or cyberbullying. Familoop Safeguard is launching on November 27, 2015 and meanwhile they offer parents to opt-in early and get an incredible 60% discount when Familoop Safeguard is launched. Great right? As parents, we cannot always watch our kids but through the above ways, we can protect and prevent them from being a cyberbully victim. 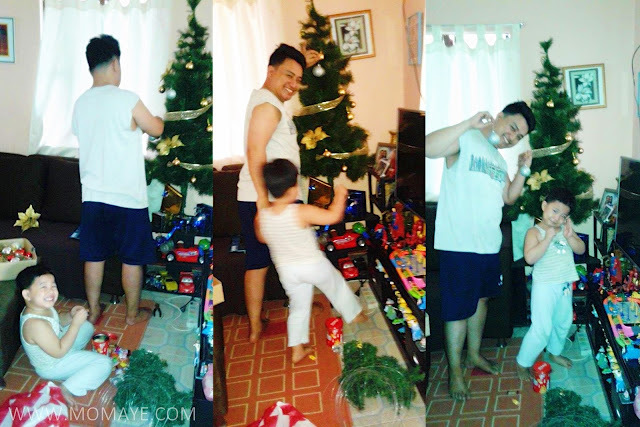 Two weeks ago, Daddy A and Matthew already set up our Christmas tree. 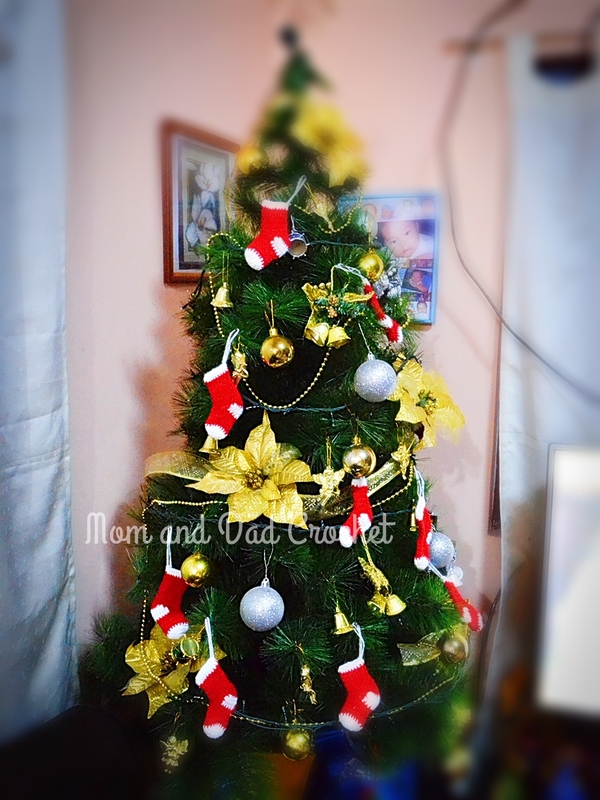 My two boys had fun putting up the tree. Look at them! The two has been doing this since Matthew can walk and our little boy is always excited. The Christmas decors are as old as our Christmas tree, which is 6 years na. Daddy and I are crocheting Christmas ornaments as addition to the old ones. 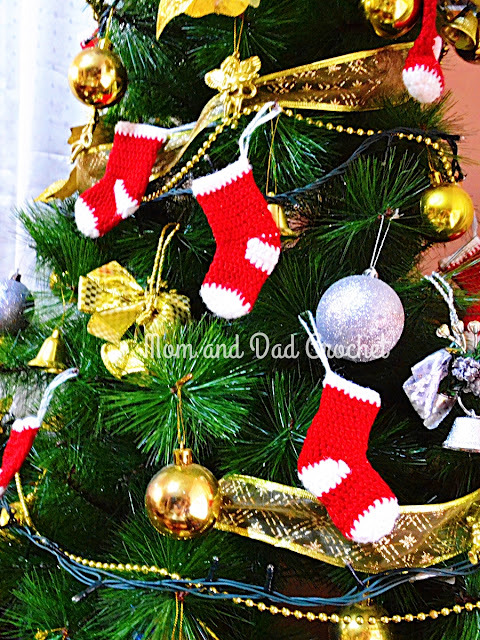 Look at these Christmas stockings Daddy crochet. We are crocheting more Christmas decors pa. Daddy is crocheting Snowman while I am doing snow flakes. I'll show them too once done. Las Saturday, we planned to go to the mall to buy a gift for our friend's son who will celebrate his 7th birthday this coming Saturday. Matthew kasi is part of the 7 gifts. We brought Matthew to work and sakto one of our colleagues celebrate his birthday. 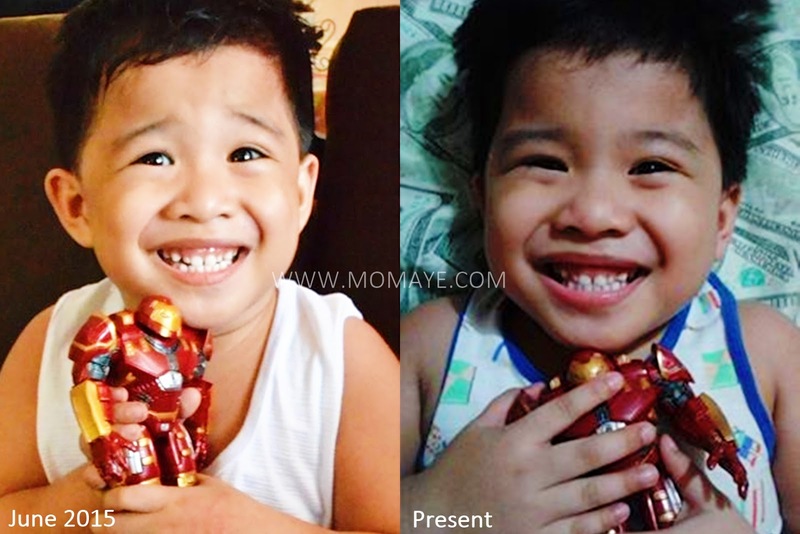 Super at home si bulilit look! Ayan may selfie pa sya! However, Daddy's meeting didn't end early and my mother was sick so I asked Daddy to brought us home na lang. When we got home, Matthew was very disappointed. He refused to change clothes and just sat with matching halukipkip ng kamay pa. Haha! Then Kuyang Xend came because I have parcels for shipping. I let our house help hand him the parcels. I went to our room to change clothes then back to our sala where Matthew was and still in his sungit mode. He even asked our house help na magsaing daw at hindi pa sya nakain. Ang kulit talaga. Si Ate naman didn't tell me that I have a parcel so when I saw a pouch I taught it was one of my parcel for shipping. When I looked at it closely, wow I was surprised! 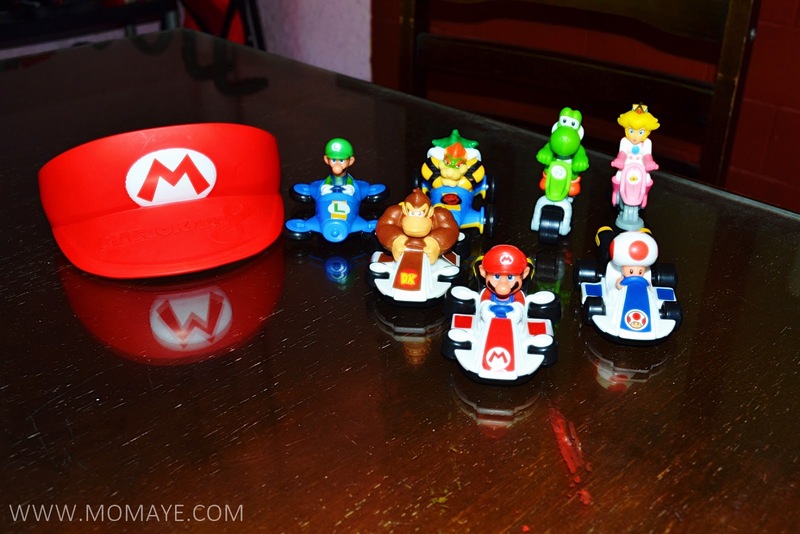 Our friends from McDonald's send this complete set of this complete set of The Mario Kart Happy Meal toys. And when I told Matthew about it, he's mood immediately switched to this! Our son is a big fan of McDonald's Happy Meal toys. 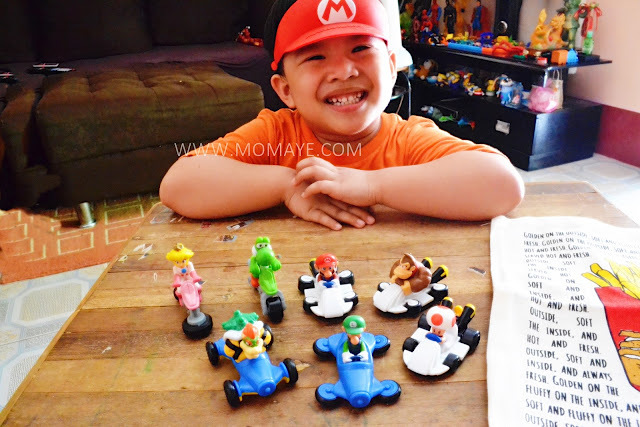 He has Hot Wheels, Bendable Finn of Adventure Time, Oh's Spinning Cat of Home, Optimus Prime of Transformers, Thomas Small Container and the complete set of Minions Happy Meal toys. 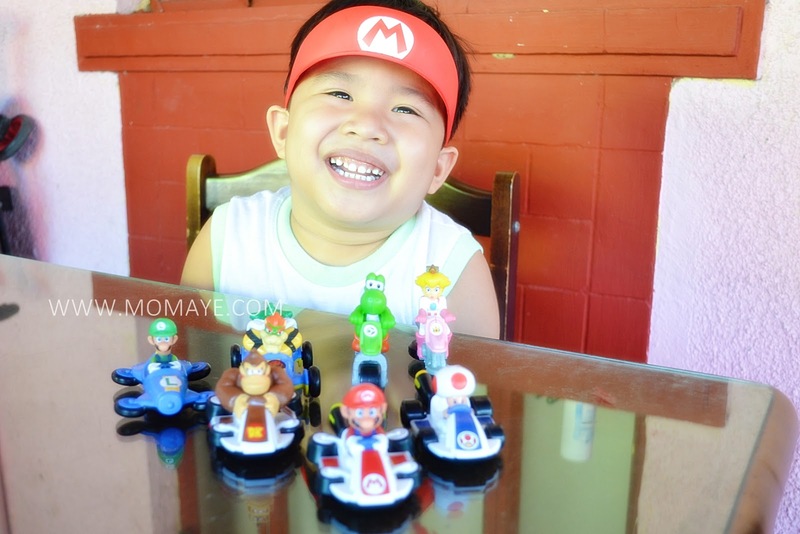 Even if he didn't know who Mario and Luigi are, he immediately like them and sakto pa yun M sa cap. 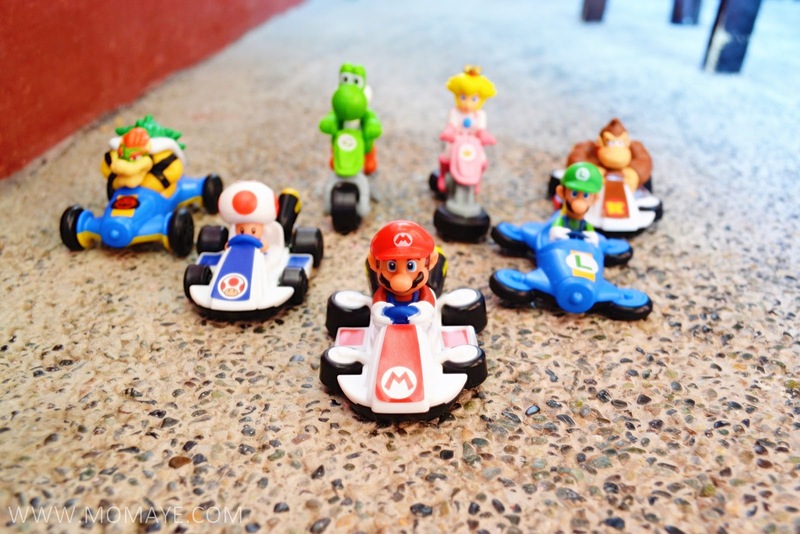 Matthew told me pa kaya pala daw walang naka-display na Happy Meal toys the last time we went to McDo. Ipapadala daw pala sa kanya, haha! More photos when Daddy came home, who was surprised too! 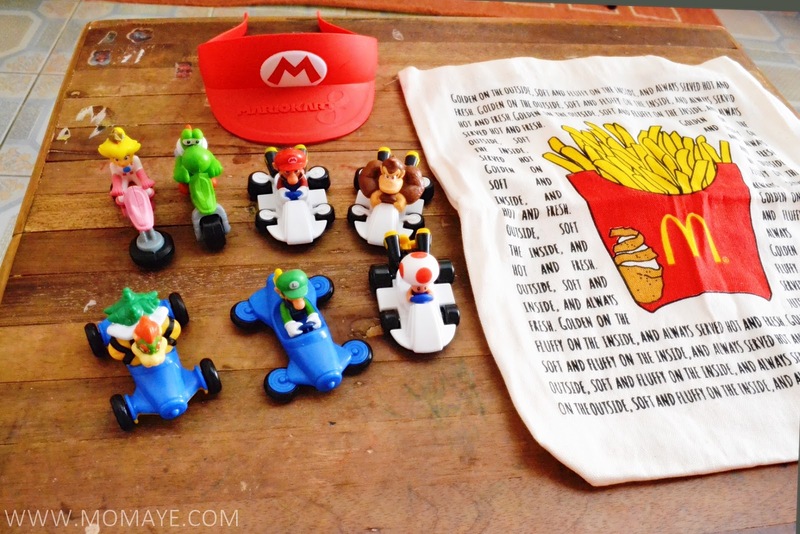 Truly, McDonald's Happy Meal has the power to put a smile on every kid's face. Look how happy our little boy was. Nakalimutan na nya ang hindi natuloy naming lakad. And humirit pa sya when we were about to sleep last night. He has a habit to bring his new toys with him to sleep. 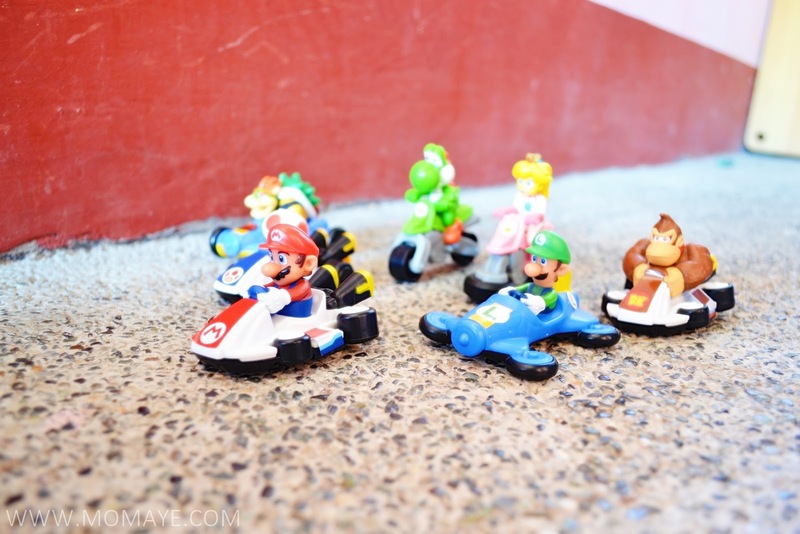 Then he said while looking at Mario, sana daw may burger at fries pa para mas masaya, haha! Thank you again McDonald's for making our little boy so so happy! We really can’t stop Christmas from coming. Just in case you lost track of the countdown, it’s only 42 days to go before Christmas. Time flies really, really fast! As Christmas is fast approaching, not only mall sales are everywhere. Expect Christmas parties are everywhere too. For sure many companies and institutions are already planning for their Christmas parties, as early as now. 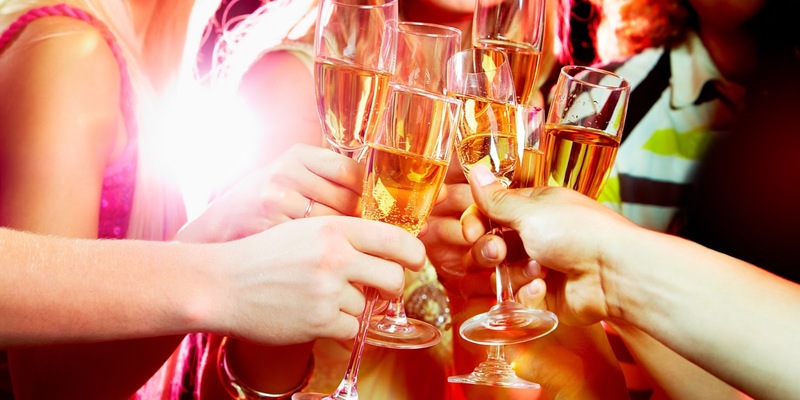 There are companies that hold their Christmas parties as early as the first week of December, while some do it on the second or third week. 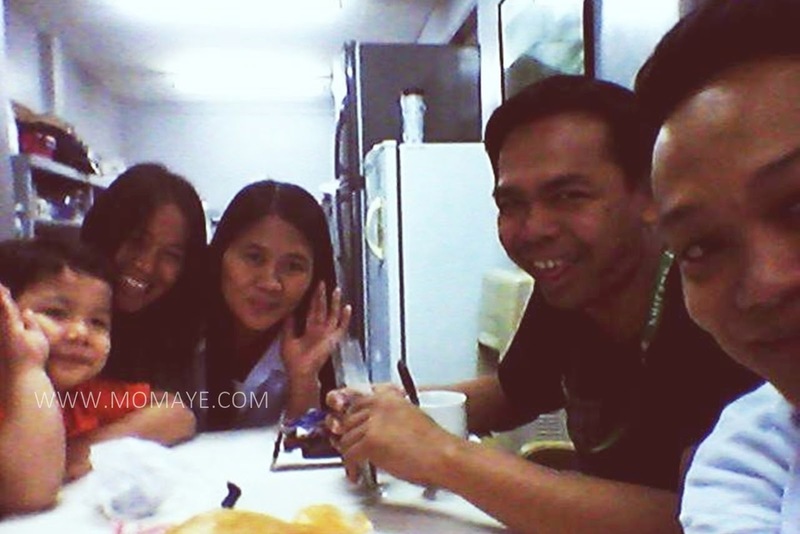 Yesterday, our Admin already called a meeting for our Christmas party. Yup, we needed to lay down the plan and to appoint committees so that we can compute for the budget for the big bosses' approval. So that explains an early Christmas party meeting. For our company, Christmas party is the only party being held yearly. So everyone is always looking forward to this party. Each department takes a responsibility and work for the success of this once in a year party. Also, like the previous years, each department will have a Christmas presentation. That’s why we are already thinking what to present this Christmas. Any idea guys? It’s anything goes, variety theme as per Daddy Allan. Anyway, our party is usually held after work. They set a party booth in our parking area and we hire a catering service for the chairs and tables, and for the food. Aside from department presentation, there are parlor games and raffles. Everyone is hoping to win and take home something. And of course, there are food and alcohol beverages. 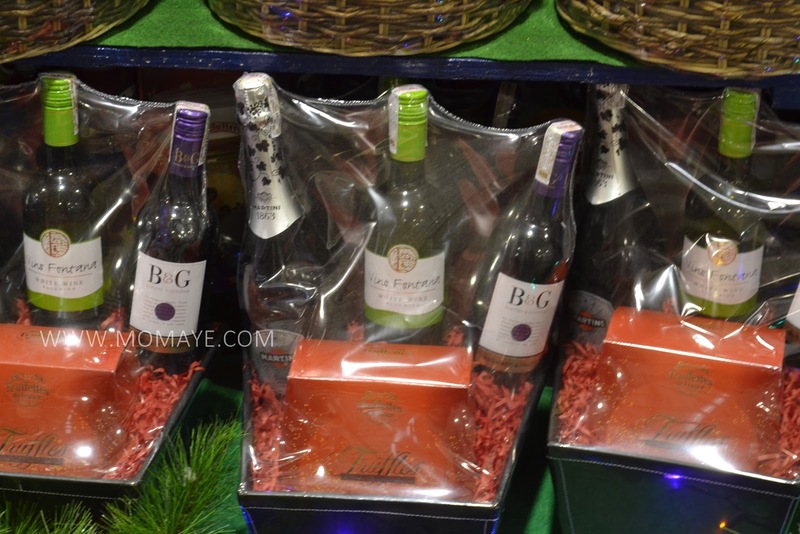 Speaking of alcohol beverages, drinking such is always part of Christmas party. In fact, for some, there are unlimited beer in a barrel or wine bottles. It’s Christmas and everyone has all the reasons to be jolly, haha! Seriously, drinking alcohol, must be in moderation. Especially if you know you need to drive home after, you must drink moderately or don’t drink at all if you can’t control yourself. In case you drink and you don't know your alcohol limit, check out this Safe Driving Calculator. This will help you decide whether you can still drive home safely. Just be sure you know your weight okay? So guys, this Christmas don't party and drink then drive because drunk driving is very very risky. It's also important to know your limits. And remember, it's not only your life that you are putting at risk, but the life of others on the road as well.